Talk about chops. 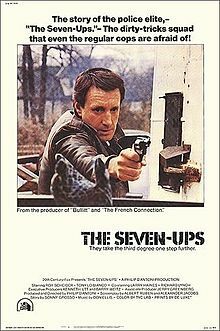 The Seven-Ups was produced and directed by Philip D’Antoni (his only directing credit), who had previously produced The French Connection (1971) and Bullitt (1968). 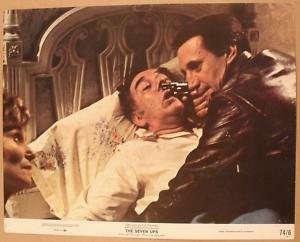 It's based on a story by Sonny Grosso, the real life NYPD detective that Roy Scheider played in The French Connection, and Grosso also served as police technical advisor on the picture. Bill Hickman, fresh off The French Connection and Bullitt, was stunt coordinator. And Don Ellis, who won a Grammy for his French Connection soundtrack, did the music. 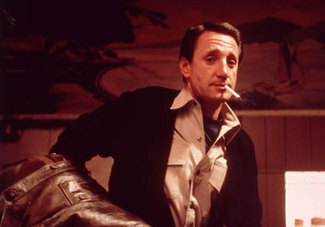 After Manucci’s partner is shot in the garage, he pursues the killers in his car up the West Side and over the George Washington Bridge and onto the Palisades Parkway (filming also took place on the Taconic). 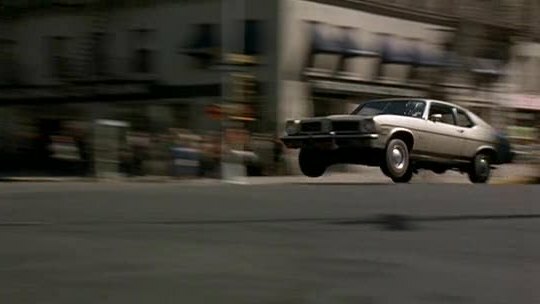 The car chase sequence, expertly orchestrated by Bill Hickman, runs for over ten minutes. It’s maybe the greatest car chase I’ve ever seen. Nothing windy about it. Tight, crisp shots and sweeping action. Big cars bumping each other and zipping through lights and traffic. It’s not frenzied like the chases we see today, all daft technique and tired routines. It’s not video game soft. Like the other great chase sequences of the era, it’s swelteringly real, a symphony of shrieking metal and squealing tires. A ten-minute pursuit that never lets up. No snappy dialogue. 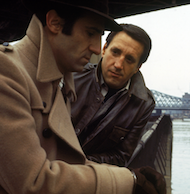 Just the sounds of the chase and the sounds of the city and the unobtrusive score. The sequence owes a great debt to Hickman’s earlier work in Bullitt, but—for my money—it surpasses it. I don’t depend on Wikipedia for much, but here’s a useful bit of information: Bo’s driving a 1973 Pontiac Grand Seville sedan and Manucci’s driving a 1973 Pontiac Ventura Sprint coupe. The cars, along with the city, steal the show. They’re all body and gristle. All brawn and sheer muscularity. It’s beautifully arranged, yes, but without the cars and the city grit, everything would be lost.